Some times the hardest part of getting organized is getting started. Having a compelling motivation makes all the difference! Start with the end in mind. Start with a beautiful picture of what you want your space to look like. Have a visual in mind of what your end results to look like. Cut pictures out of magazines, search websites or blogs, or go to online organizing stores to see a picture perfect result. Ready, set, go! Set a kitchen timer for 15 minutes. We can all do something for just 15 minutes. 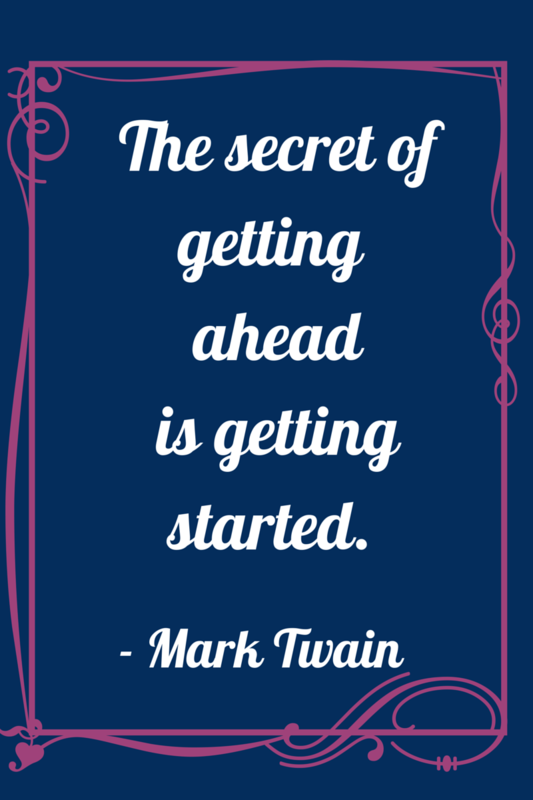 Once you are started, you are likely to get in the groove and work longer on your organizing. Baby steps, please. Start with something small. Remember, how do you eat an elephant? One bite at a time! 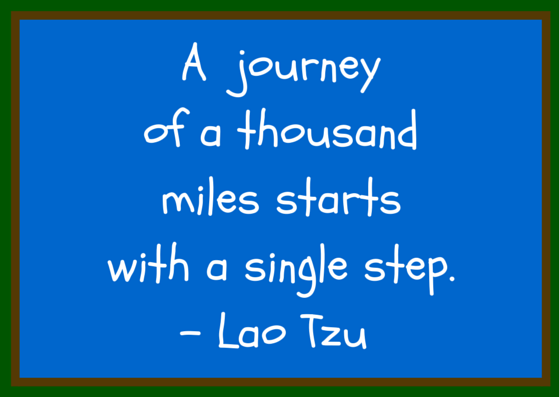 Knowing that you can accomplish your organizing in baby steps makes a difference. Plan a party. Inviting company into your home to celebrate makes you want to get your homes organized. It is scary but you can do it! Partner up! Include a clutter buddy in your organizing plans. Having a trusted partner who works along side you or just sits while you work helps get you started on organizing. Walk the walk, talk the talk. Be a role model for your family. Our children look to us to show them how to organize and why it is important to be organized. It’s pressure, but it works. What’s holding you back? Acknowledge obstacles to organizing. Once we clear our minds of what might hold us back, you are ready to push forward on organizing. Acknowledge your successes in organizing. Often we look at what is not done. Rather, give yourself a pat on the back, and a reward, for what you have accomplished. Use your anxiety to push you forward. Chaos causes stress! Set a boundary on your disorganization and get started knowing you will have peace of mind once you are organized. It’s that old adage of what’s most frustrating is what’s most motivating. Know what’s good enough for now. Our colleague Donna Smallin says “done is perfect.” Put aside perfectionism which can paralyze you. Perfectionists are overwhelmed with how long the task will take and how much energy will be used. 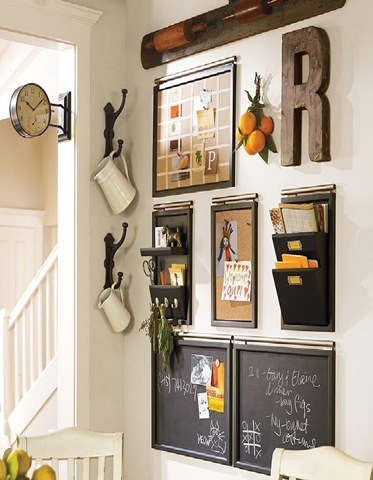 Create a simple plan to get your organizing started and completed. 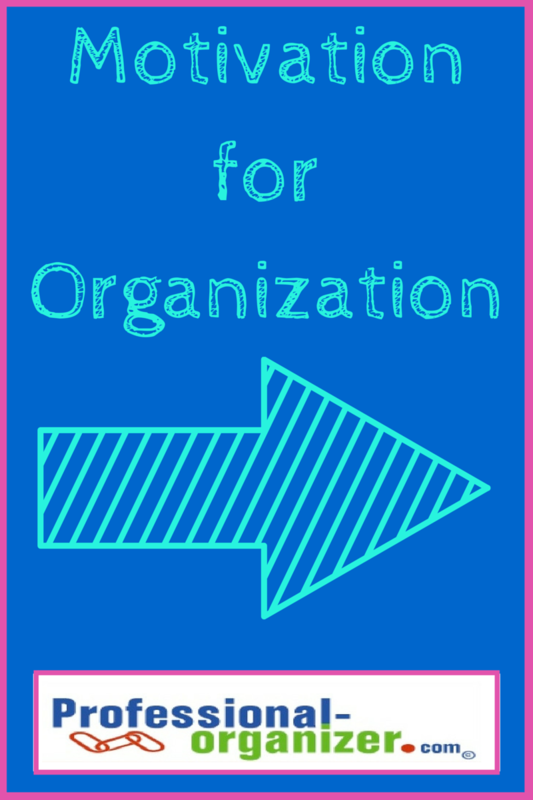 What compelling reason have you used to get started on your organizing? The change of seasons calls us to do some decluttering. With this change around us outdoors, we feel inspired to make change indoors. There are many strategies that can help you declutter. 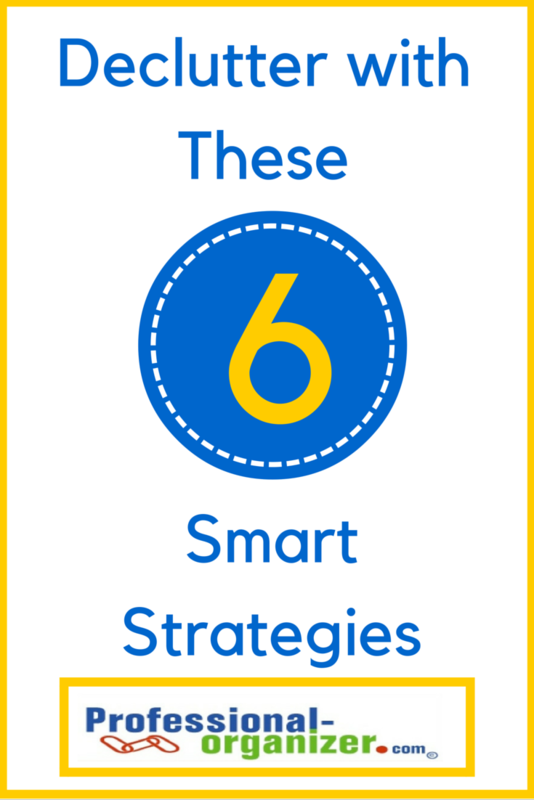 Try one of these 6 smart strategies to declutter your space at home or work. The Tournament Method helps those who are especially overwhelmed. Just like in any sport, compare two items and one “wins.” Keep the winner and pit it against another “competitor.” Soon you will have eliminated almost half of your items. If you want to keep your decluttering simple, the Tournament Method works well. Rather than decide about what to give away, decide what is a treasure to keep. A treasure hunt strategy keeps you positive and pro-active. When sifting through a large box, dig for treasures only. The rest is decluttered and given away. The Treasure Hunt method works well if you tend to lose focus when you are decluttering. 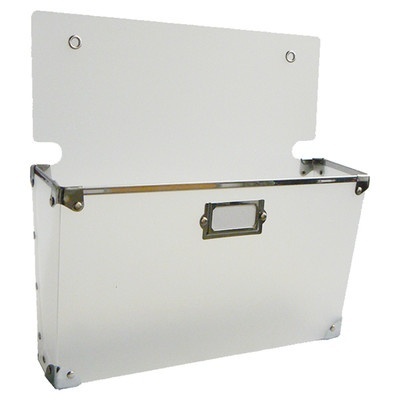 FlyLady has been a staple for many to help start decluttering. Her strategy relies on small, fun tasks that break your decluttering into bite size efforts. Establishing small routines makes your decluttering happen. One of my favorite routines is the 27 fling boogie. You grab a garbage bag and eliminate 27 items at a time. If you are a person who is looking for decluttering routines, Fly Lady’s method work help you make changes. Joshua Fields Millburn & Ryan Nicodemus write the blog, The Minimalists. Their game came from their new perspective on stuff and minimalism. The game starts on the first day of the month. On day 1, you eliminate 1 item. On day 2, you eliminate 2 items. And so it goes. It’s a great way to make a game of your decluttering. Challenge others in your circle to play too. Organizing guru Peter Walsh reminds us to Keep the End in Mind. Create a vision of what your space will look like decluttered. Permit only what will work with that vision to remain. Use a vision board, pinterest, or a magazine to help you stay focused on your goal. Knowing what you want your space to look like when completed helps you make decisions on decluttering. Recently Marie Kondo, best selling author of The Life Changing Magic of Tidying Up, created the Konmari method to declutter. Her mantra about the items we own is, “does this spark joy?” Keep only what brings a smile to your face. Does everything have to bring you joy? For Ms Kondo the answer is “yes!” Surrounding yourself with only what is fabulous is definitely life changing. Learn more about the Konmari method here. No matter the method, get started on your decluttering today! Your changes in your space will bring about changes in your daily attitude, stress and positivity. More organizing tips and tricks each month! Join my newsletter here. Resilience is the ability to bounce back, overcome obstacles, work through a problem, get back on your horse. Fall down seven times………. get up eight. 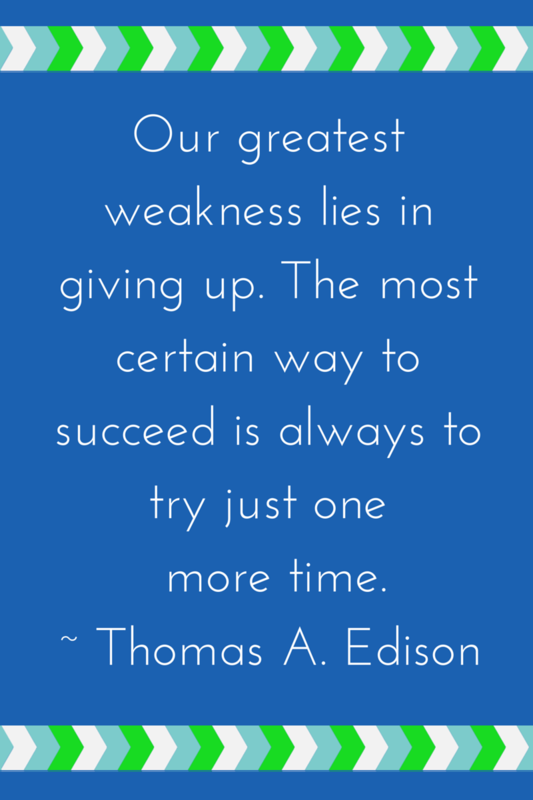 There are times we feel that we can’t just get up that last time. That’s when resilience comes into play. We have all experienced that feeling. It’s a powerful combination of tenacity, flexibility, and resourcefulness. We can build resilience. By creating structure for your time, making connections with others, and keeping an optimistic and hopeful perspective are all contributors to resilience. Structure for your day should include taking good care of yourself. This way you have the physical ability to bounce back. This includes a good bedtime to get a good night’s rest, proper nutrition including lean protein, and moderate exercise regularly. Staying connected to others is important. The vitality of others makes you more energized too! Ask for help when you are finding solutions to work through a problem and gather resources that will make that decision easier. Be one to offer help and be about others in working to better the world around you, such as by volunteering or small acts of kindness. Your perspective can make the biggest difference! In a recent speaking engagement, several audience members came up and mentioned that they realized they are MORE organized than they thought! Optimism and positivity spring from gratitude. Find small ways you are grateful daily, whether it is writing in a journal or reviewing this mentally as you drive around town. Joy and happiness can come from the smallest of moments, whether seeing a beautiful sun rise, smelling a fresh flower, spending time with a friend, or sitting quietly. Bundle all of this together and out springs hope! That is when resiliency blooms! Resilience is not only a matter of perspective, it’s also a matter of organizational strengths. 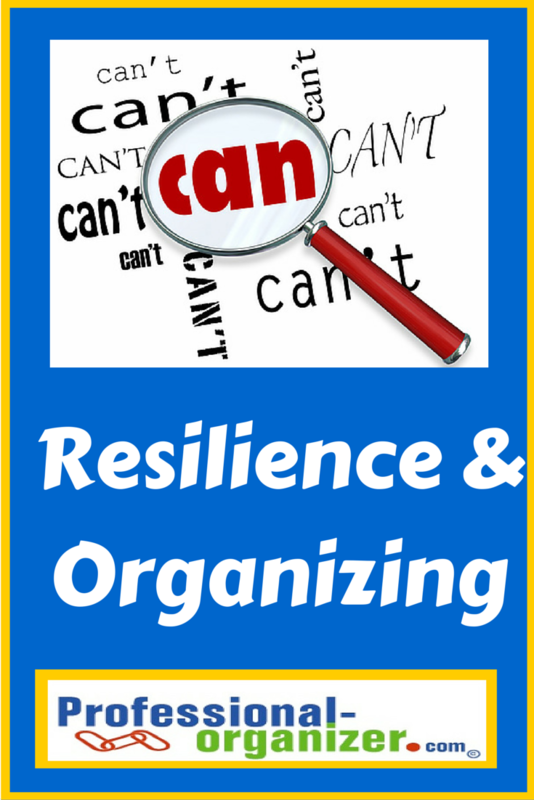 Having strong organizing skills makes it easier for you to be resilient. If you are facing an obstacle whether it’s organizing or not, what are your steps toward overcoming it and being resilient? Learn more about organizing tips and tricks! Join my newsletter here. As you might guess, I am a big fan of planners! Your planner is a tool to help you process and plan. We all have our favorites. Here’s one I’d like to introduce you to that I have recently found. Top Down Planner was created to help you achieve your goals by writing them down. The planner includes 12 monthly and 52 weekly sheets for you to write in your tasks. Each page includes a space to declare your goals so you keep on track to align your tasks with your goals. No more off track activities that bog you down or get you side tracked. The emphasis on goals makes this planner different. More than just recording what needs to be accomplished, your goals are in front of you daily. Having your goals, tasks, and appointments all on one page make for more focused and productivity. 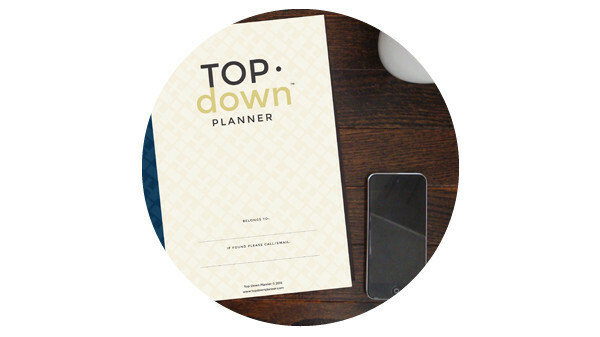 The Top Down planner helps you start at the top of your priorities and work down to ensure your success. OR you can post a comment below about why using a planner makes a difference in your work and at home. Winner will be chosen by random drawing. Hope you win! Organizing can make the difference whether your survive or thrive. You’ve lost your keys, you’ve lost a check and you have lost your mind! The more you have going on, the more important organizing can be. Organizing helps you feel and look put together. 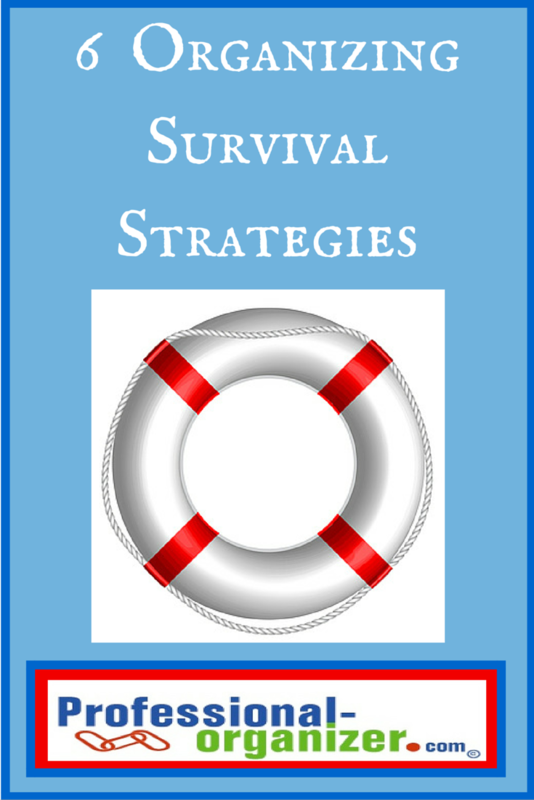 Here are 6 baby steps for organizing to help you go from surviving to thriving. Start with your own organizing first. It’s easy to see where everyone around you is pulling you down. It’s that old adage, “put your own oxygen mask on first.” Your purse is a perfect first step to organizing. 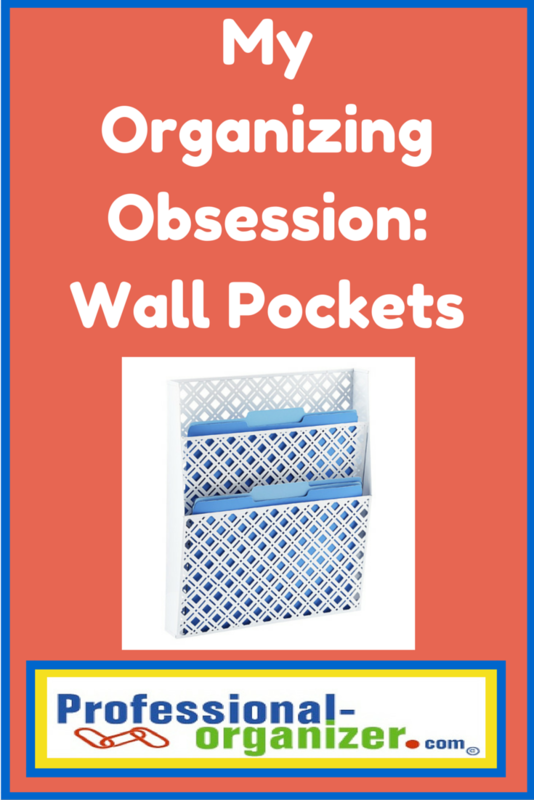 Take stock of what is in there, declutter the junk, create categories with small clear zipper pouches for medicine, makeup, money and receipts. Empty and refresh your purse weekly. Apply this same process to your closet and your calendar. Have one spot where all the very important papers go. 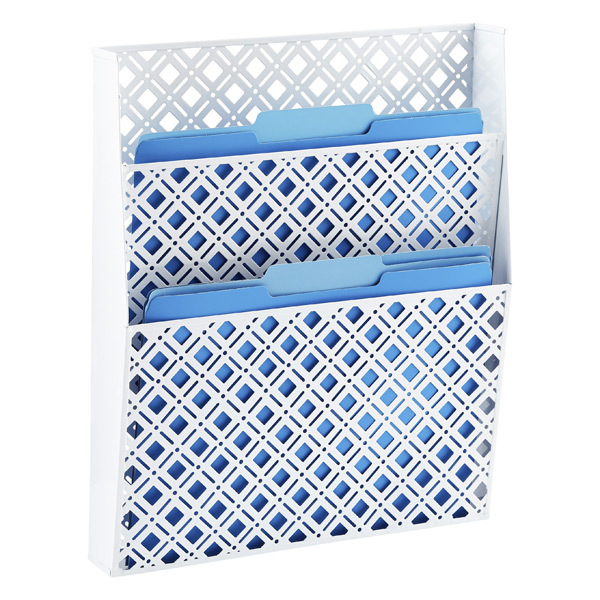 The most important papers can be in a basket or box in the office, in an accordion file or in a file bin. Whatever container your choose, you can group papers together in files or clear pockets. 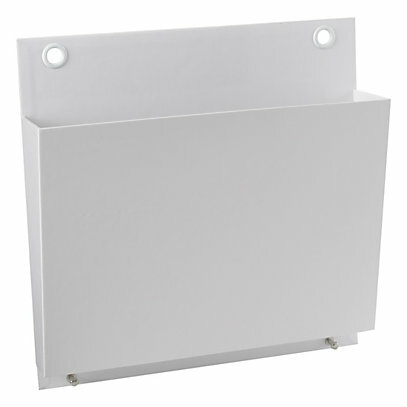 No more worry about where important papers are and easy to access this way too! Edit your closet to keep only what you would buy and wear today. Items that are too big, too small, too scratchy, or not your style, need to be dropped off at a donation spot or consignment. If you can go into your closet and choose an item to wear right away, you will save time and energy. Declutter your calendar. If you are running between activities, don’t have time to put away groceries or other purchases, arrive late at most meetings or church, it’s time to prioritize your commitments. Take one thing off your plate for 6 months and assess at the end of that time how you felt and how you operated. Routines make the difference for daily life. Set routines for doing the laundry, getting dinner done and heading to the grocery store. When you have assigned times to these basic tasks, life runs smoother. Gather a team to help. We can’t do it all and we can’t do all of it all the time. Gather resources to help you get things done. You know it’s time to use your resources when things get really stressful for you. Use your partners and team members to delegate and make things happen. BONUS! Plan your perfectionism. What holds you back most and creates procrastination is that feeling of having to “do it all perfectly or not at all.” Create a new mantra of “good enough for now” to push past and get started on your organizing. Not enough tips still? Check out these habits of organized people. You don’t have to apply all these tips all at once. Just start with one way to make your life more organized. Get a monthly dose of organizing inspiration. Join my newsletter!